It’s old, it’s small, yet it’s full of charm: It’s Lund! 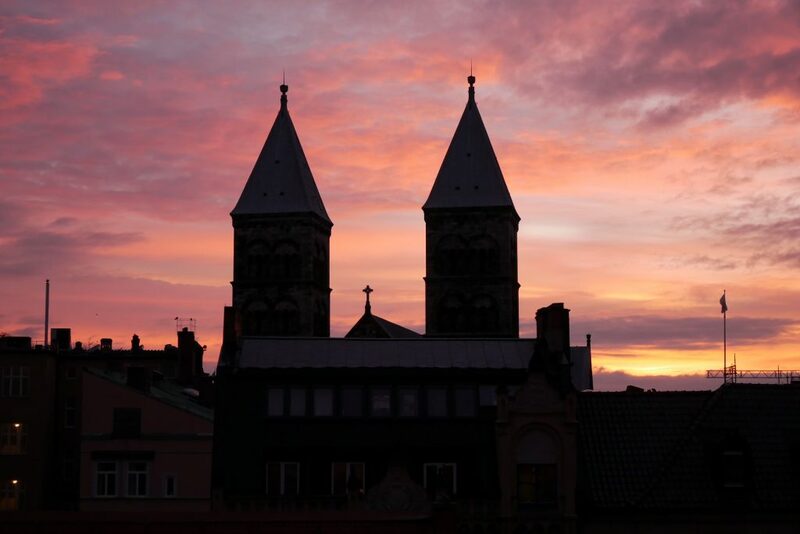 Sunrise over Lunds Domkyrka. Photo by Hayu Hamemayu. Less known than cities like Stockholm, Gothenburg or Malmö, Lund is actually one of the oldest cities in Sweden. Its roots can be traced back to the Uppåkra settlement from around 100 BC. For this reason, Lund is rich with history and remarkable landmarks. This small city is located in the Skåne province, the southernmost of Sweden, which was once part of Denmark before the Treaty of Roskilde was signed in 1658. Famous as a religious centre in the past, the city is now better known as a centre of education and innovation. I’ve been a Lundensian for almost two years now and have been to other Swedish cities as well, but Lund is still my favourite. Below, I compile the most frequently asked questions about it. With less than 100.000 inhabitants, Lund can be a little bit empty indeed, especially during summer, when students enjoy their summer break and most stores close for sommarstäng. However, the city is also home to numerous interesting events such as Lundakarnevalen, Kulturnatten, and Lund Comedy Festival. So, living in here doesn’t mean you can’t throw a party or have fun like in other cities. How is life in Lund in general? In terms of living cost, Lund is cheaper than the capital city Stockholm (thanks to its reputation as a student city!). Everywhere is either walking or biking distance. The winter is also slightly warmer even though the wind can be really harsh just like any other part of Sweden. Here, the university dominates much of the centre. Some museums are part of the university. 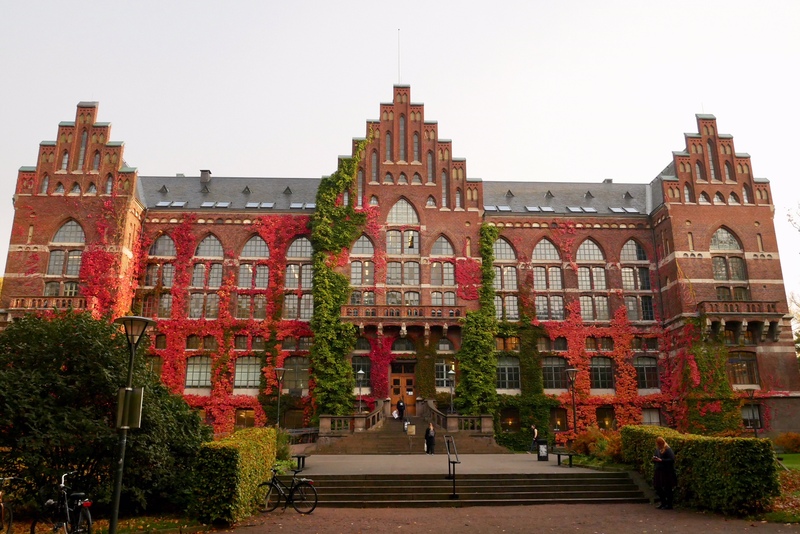 More than half of the population either work or study in Lund University. The university is also one of the factors that turn Lund into a cosmopolitan city, a melting pot for people from all over the world. That’s why everyone here speaks fluent English. 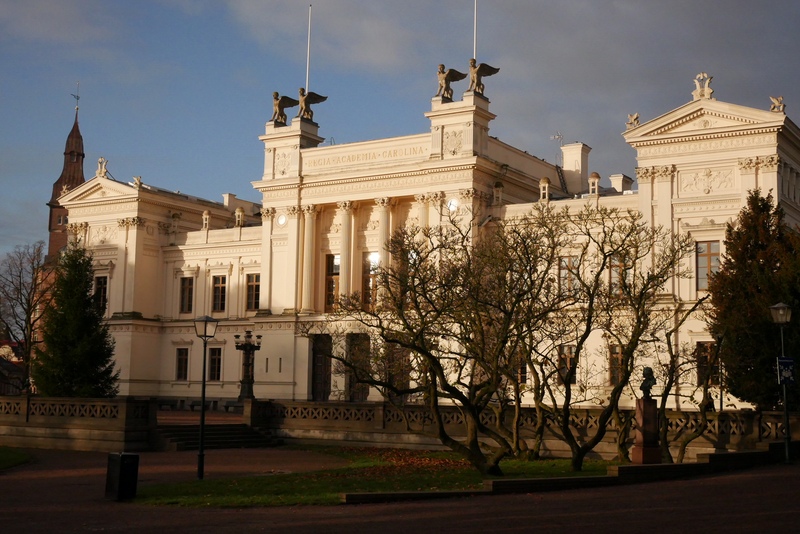 The White Building of Lund University. Photo by Hayu Hamemayu. Universitets Biblioteketet (UB) building. Photo by Hayu Hamemayu. What to do in Lund? Plenty! You can visit Lunds Domkyrka and see the Horologium mirabile Lundense, an astronomical clock from the 15th century. Spend the day at Kulturen, the second largest open-air museum in Sweden. Have fika at the coffee shops in Klostergatan (do not forget to take away kardemummabullar from Broder Jakobs and the award winning coffee from Love Coffee Roasters). 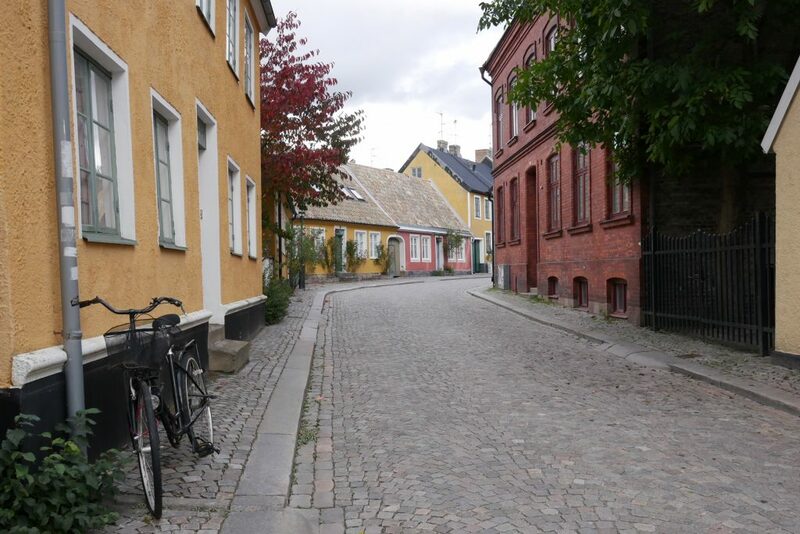 Stroll through Lund’s medieval cobblestones street layout. Bring back home souvenirs from Hökeriet and Gretas Hemslöjd or find out the most recent science invention at MaxIV. Don’t worry. Copenhagen and Malmö are within less than an hour from Lund. So, whenever you feel an urge for a short city escape, just hop on the Öresundtag to get to those bigger cities. Lund’s cobblestone street. Photo by Hayu Hamemayu. I know that Lund doesn’t have the character of a metropolitan city, but for me, Lund has a perfect combination of tranquillity and aliveness. Everything here represents well the idea of lagom. Not too much. Not too little. Just the right amount 🙂 . Find my everyday stories about Lund here. 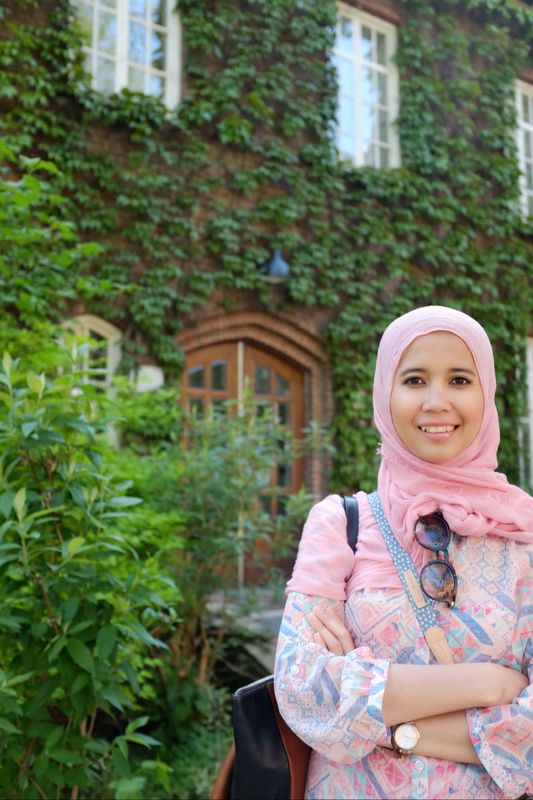 Hayu Hamemayu is a Lund-based freelance writer whose work has appeared in The Jakarta Post, Media Indonesia, Kompas, Majalah Kartini, and Indonesia Travel Magazine among others. A traveller mommy by nature and random thinker by inclination, she keeps memories in her Instagram @hayuhamemayu and writes her everyday stories in her blog.